Imagine this: you’re running late for work, driving a bit too fast into D.C. You don’t think anything of it, until you suddenly realize you just blew past a speed camera. After you get to work you forget all about it -- until you get an envelope in the mail days later with a $250 fine. If that scenario seems familiar, you may have been one of more than 618,000 drivers who were issued automated tickets from traffic and red-light cameras in the District during the fiscal year 2010, according to AAA Mid-Atlantic. Those tickets netted the city more than $40 million in revenue that year, coming out to about $65 per ticket, according to the organization. AAA Mid-Atlantic says that the District upped the ante in fiscal year 2011, issuing far fewer tickets -- just 460,000 -- but netting $55 million in revenue. That means the average ticket cost drivers $120, almost double that of the previous year. It gets worse, according to AAA Mid-Atlantic: in fiscal year 2012, 470,000 tickets have already been issued, putting the city on pace for a record-breaking 810,000 tickets. In addition to increasing the volume of tickets issued, the price of tickets has gone up, yet again, about 150 percent since fiscal year 2010. That jump means that seven months into fiscal year 2012, the city has already netted $40 million, the same amount it made in all of fiscal year 2010, says AAA Mid-Atlantic. In addition to ballooning fines, the number of speed cameras around the District is increasing at an equally high rate. 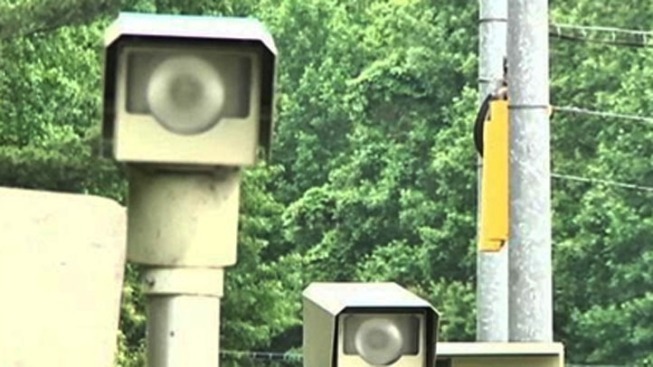 Under the 2013 budget plan, the city will spend nearly $6 million to purchase a new generation of automated traffic cameras to be installed at 27 new locations across the city; including the 14th Street Bridge and the 9th Street Tunnel, according to AAA Mid-Atlantic. Because of this, AAA officially designated the entirety of the District of Columbia as a “Strict Enforcement Area,” the largest of its kind in the county.